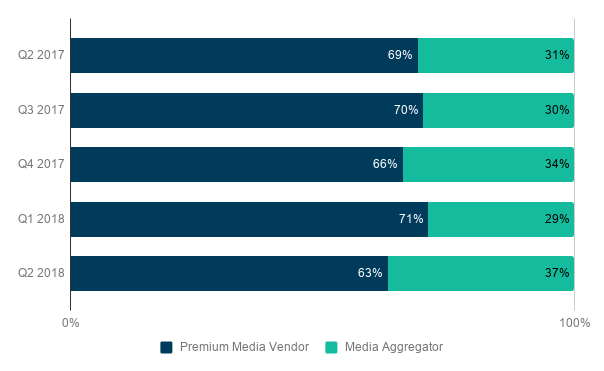 Premium publishers continue to lead aggregators in the percentage of overall impressions served, though media aggregators gained share in Q2, moving from 29% in Q1 to 37% in Q2. 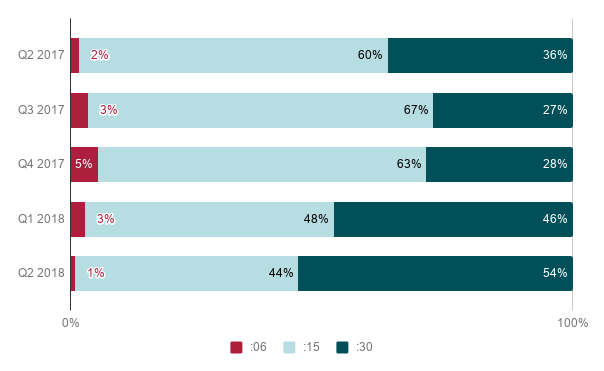 Programmatic buying is likely a large contributor to this shift, as agencies and brands are drawn by the promise of greater efficiencies for campaigns. 30-second ads surged in Q2, taking the lead over 15 second spots. The increase in impressions served to CTV, which includes OTT, likely accounts for some of this shift as marketers aim to reach consumers in a lean-back, TV-like mode of viewing. 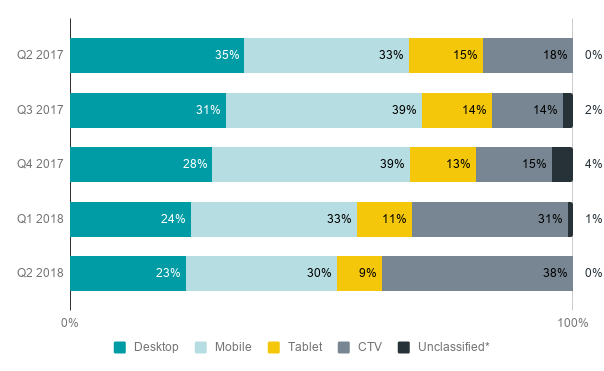 After leading the media-consumption pack for four quarters, Mobile, at 30%, was overtaken in Q2 by CTV which grew to 38% of impressions from 31% in Q1. *Unclassified captures impressions from user agents who are known to be valid, as per industry sources, but whose platform or device we are unable to identify. Previously filtered out of net impressions, they are now counted as valid impressions in this new category launched with our Q3 2017 report.